Find epilepsy travel insurance now. Compare epilepsy insurance quotes online or on the phone for comprehensive cover at a great price! Want to talk to someone regarding travel insurance covering epilepsy? A specialist medical condition travel insurer, including cover for epilepsy. Long term and short term cover, as well as protection for backpackers and winter sports. 5% discount on travel insurance policies, automatically applied both online and over the phone. Get an online quote or speak to an expert, by calling 01392 287 419 (Mon-Fri: 9am-5.30pm and Sat: 9am-4pm). Travelling abroad might not seem so easy for people who have epilepsy. However, Epilepsy travel insurance is available to buy at affordable prices. Find the best quotes today so that you can stop worrying and enjoy your travels to the fullest. The main benefit of this type of insurance is that it allows travellers who have epilepsy to go abroad with peace of mind and without having to worry about extra medical costs in case something happens. With this service, people with epilepsy and their families are free to enjoy themselves as they travel the world. It's also important, if you are travelling with someone who has epilepsy or has had an epileptic fit in the past, to ensure your insurance covers you against cancellation costs in case your companion should have a relapse. If it is not declared you could find the cost of your holiday is at risk. Obviously it is easiest if you are all insured on the same policy, as this avoids any confusion. Travellers with epilepsy might experience paying more for their travel policies. Specific needs require specific deals, and this normally increases the price. However those who have not had a recent fit or seizure and whose condition is controlled with a one type of medicine could find that the additional premium is less than £5 - a low price to pay for the piece of mind having proper cover delivers. Make sure you shop around to find the very best type of epilepsy travel insurance. How expensive is epilepsy travel insurance? For a certain price, travellers with specific medical conditions such as epilepsy will be able to travel abroad knowing that, if anything happens, they are covered and have an insurance company supporting them. How much it costs depends on your individual circumstances, where you are travelling to and what your health issue may be. 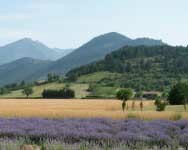 However, the best prices and premiums could be found simply by shopping around and comparing epilepsy travel insurance. Remember that you should always tell the truth when making an application for insurance. Even if you have only had an epileptic incident once, many years ago - it is always recommended that you shop around for the best policies and always tell the truth. If you do not reveal your full state of health and make a claim on your insurance at a later date, it could be invalid and you'd be left to cover full medical and repatriation costs back to the UK. Will my insurance cover all types of epilepsy and seizures? Autosomal dominant nocturnal frontal lobe epilepsy (ADNFLE), Benign centrotemporal lobe epilepsy of childhood or benign Rolandic epilepsy, Benign occipital epilepsy of childhood (BOEC), Catamenial epilepsy (CE), Childhood absence epilepsy (CAE), Dravet's syndrome, Severe Myoclonic epilepsy of infancy (SMEI), Frontal lobe epilepsy, Juvenile absence epilepsy, Juvenile myoclonic epilepsy (JME), Lennox-Gastaut syndrome (LGS), Ohtahara syndrome, Primary reading epilepsy, Progressive myoclonic epilepsy, Rasmussen's encephalitis, Symptomatic localization-related epilepsy, Temporal lobe epilepsy (TLE), Tuberous Sclerosis (TSC) and West syndrome.